Living a Fit and Full Life: FarmHouse Fresh Introduces Will Dew™ Probiotic Milk Balancing Mask into it's New Organics Collection! 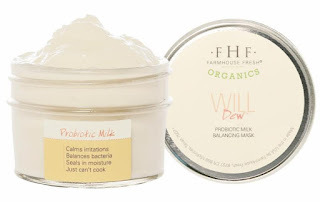 FarmHouse Fresh Introduces Will Dew™ Probiotic Milk Balancing Mask into it's New Organics Collection! Life- Under a Canopy of Magic Trees At FarmHouse Fresh, they dream, develop and hand assemble exquisite gifts that bring delight with every use. Whimsical. Nostalgic. Gift-able to even your finickiest friends. 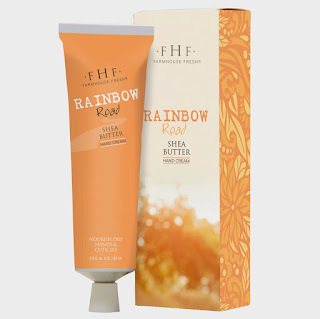 Each product is made with up to 99.6% natural and naturally-derived ingredients. 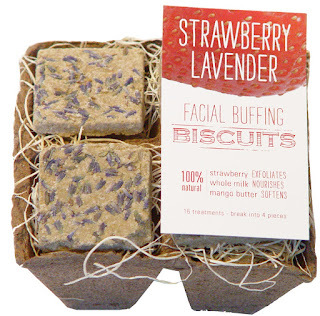 Everything they make is Paraben & Sulfate FREE and their fragrances are all natural or phthalate free. Many of their products are also Vegan and Gluten Free. They LOVE crafting complex and scrumptious fragrances, but they also offer a range of products made with only essential oils if that is your preference! FarmHouse Fresh is a member of Organic Trade Association, Society of Cosmetic Chemists Southwest Chapter, and proud members of Go Texan, as FarmHouse Fresh products are made in Texas. FarmHouse Fresh/Summer Soles LLC is also a Certified Woman-Owned Business and holds two patents and over a dozen trademarks. Soak in good health! Skin finds its balance with this nourishing organic, probiotic coconut milk mask. Combining powerful healthy bacteria (both prebiotics and probiotics) plus certified organic rice extract to calm inflammations and redness -- even breakouts -- while delivering deep moisturization. Will Dew also contains sweet almond oil which is full of essential fatty acids, particularly linoleic acid, that can help maintain the skin barrier and decrease transepidermal water loss, reducing dryness and the look of wrinkles. Plus, after rinsing off Will Dew, you'll notice a beautiful, dewy glow that goes on and on. Use this mask when your skin feels like it needs a good reset. There's no tingling with this one. Just calm. Will Dew is recommended for all skin types, especially those with breakouts and irritations. Use as often as you'd like. Nourishment is never ending! Will Dew allows you to Illuminate from Without - offering Purity Down to the Roots that certifies this product is free of GMO's, synthetic herbicides and pesticides. 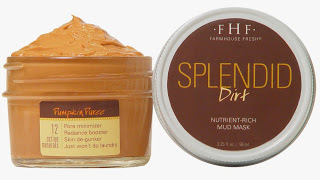 Like all FarmHouse Fresh products, it is also paraben- and sulfate-free. 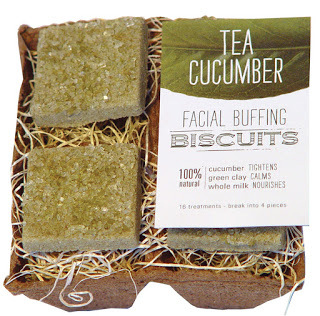 Click HERE to find a spa/store! Click HERE to learn more about FarmHouse Fresh! Follow Farmhouse Fresh on social media! Check out my other FarmHouse Fresh® posts! 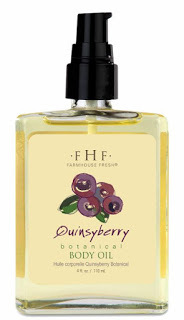 Farmhouse Fresh's® New Quinsyberry Botanical Body Oil Keeps Skin Soft, Supple and Glistening! 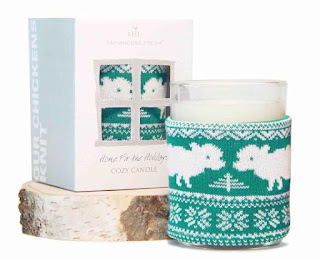 Farmhouse Fresh Warms Up Interiors with New Holiday-Scented Cozy Candles! FarmHouse Fresh Introduces the New Marshmallow Melt Collection Arriving October 1st! 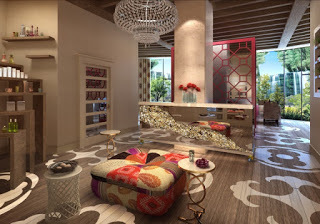 FarmHouse Fresh Announces Exciting Partnership with Dollywood's New Dreammore Resort! Celebrate National Watermelon Day on August 3rd with FarmHouse Fresh!